Spread the happiness! A monthly delivery of handmade cards, to delight and inspire. 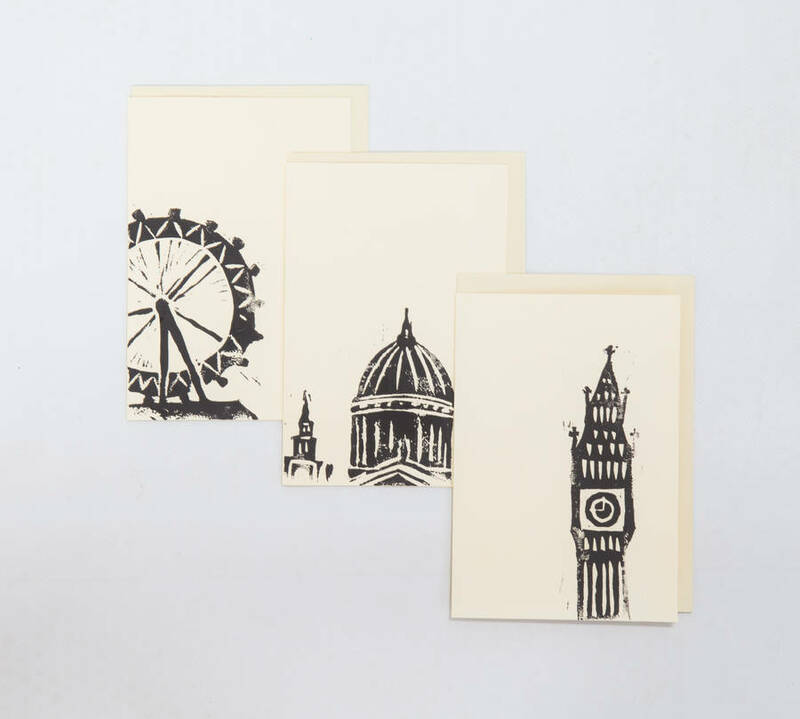 Seasonal, general purpose, and always beautiful, cards at your fingertips. 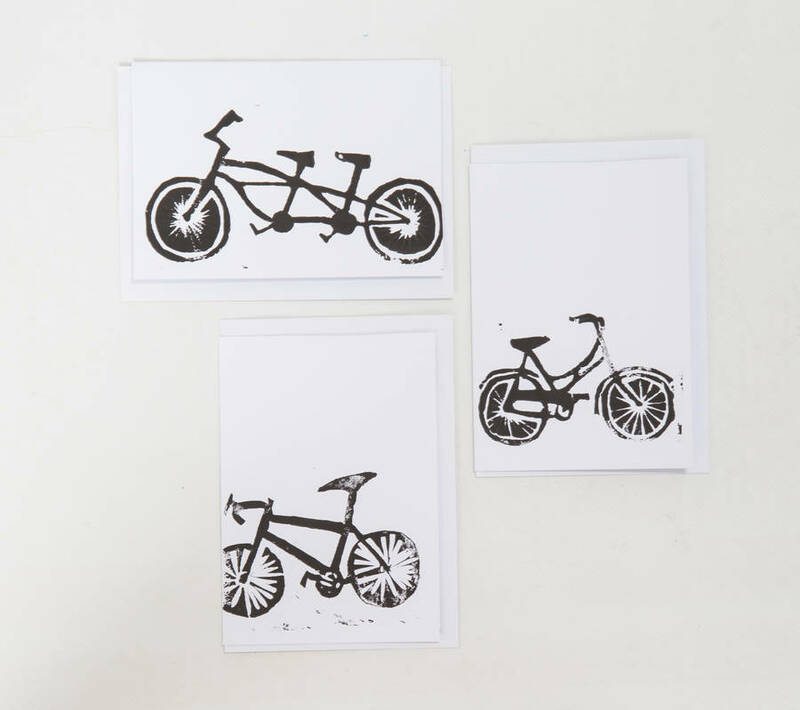 To receive a hand written card is always a pleasure in this digital age, and for it to be handmade using the time honoured method of block printing from a hand carved linoblock only adds to the pleasure. 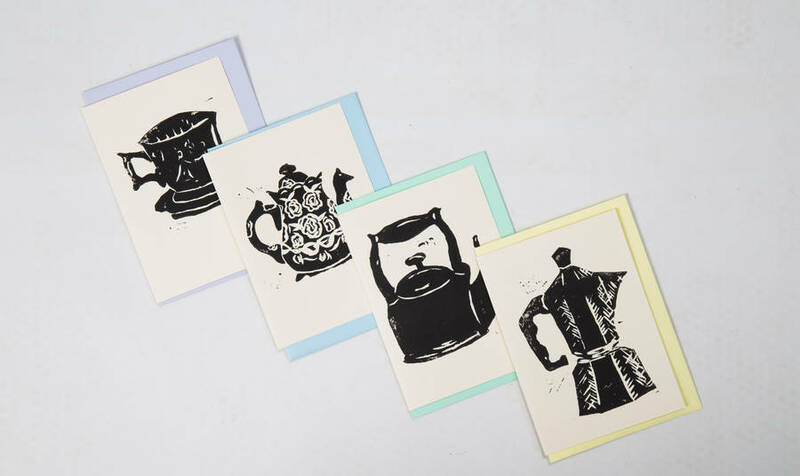 Once a month for six months, the recipient of this subscription will receive a hand selected batch of block printed greetings cards- four indivudual cards, along with a surprise stationery related gift. Keep your card drawer stocked, or gift this subscription to a friend or family member. The teenager off to university? The great aunt who prefers handwritten over email, or maybe just something for yourself. 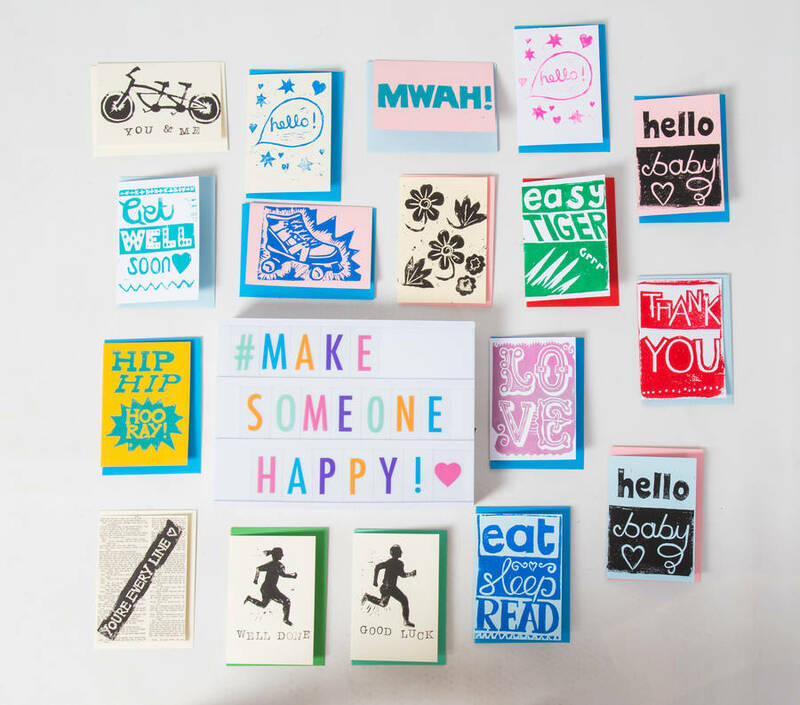 These cards will deliver double delight, to the recipient of the monthly delivery, and everyone who gets sent one. 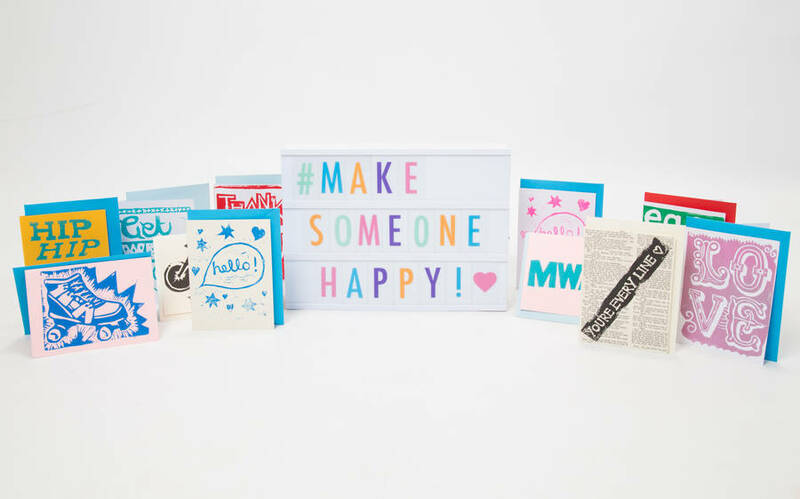 A lovely birthday gift idea too, the birthday girl or boy will certainly approve of some hand written love! The cards will be selected from my ever growing range, and will be a mixed set each month of seasonal cards, blank cards and handy birthday and thankyou cards. Every card is blank, and comes with an envelope. 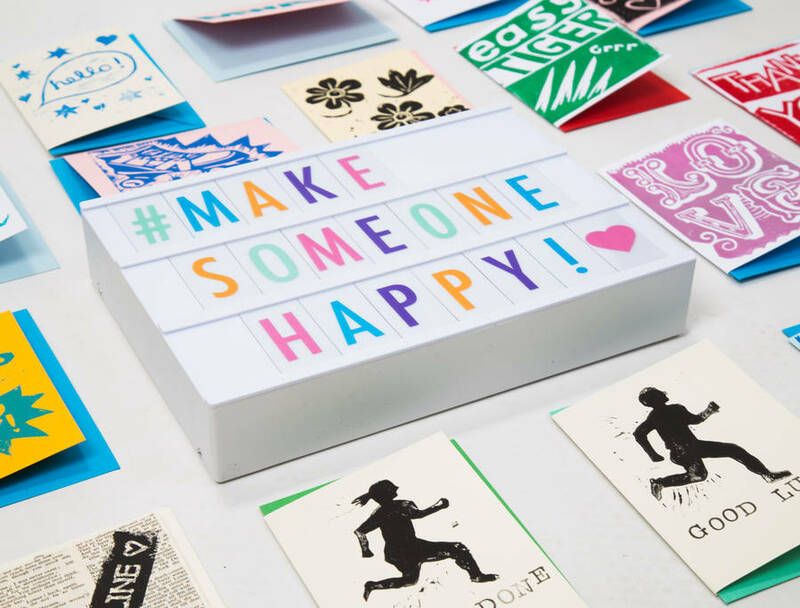 The first delivery will include the 'hello' card, welcome letter and something to keep the cards in, along with a further three separate cards, and any gift message. The following deliveries will come on the same point in the month, and will be different to the ones already received- feel free to contact me if there is something special coming up you'd like a specific card for. 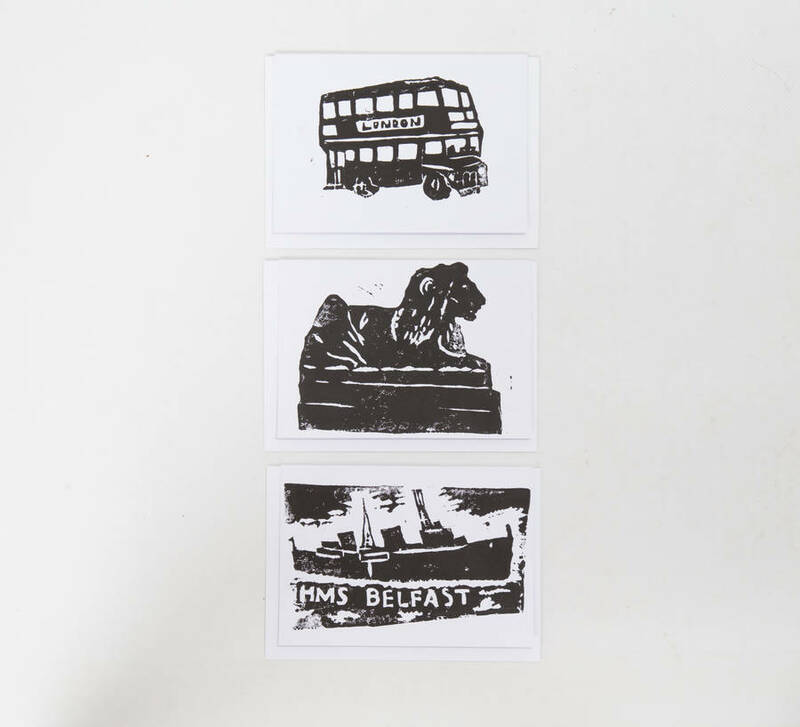 Cards are all handprinted from individual linocuts, and may be printed in coloured or black ink, on coloured or white / cream card; they all come with co-ordinating envelopes and in cellophane bags. 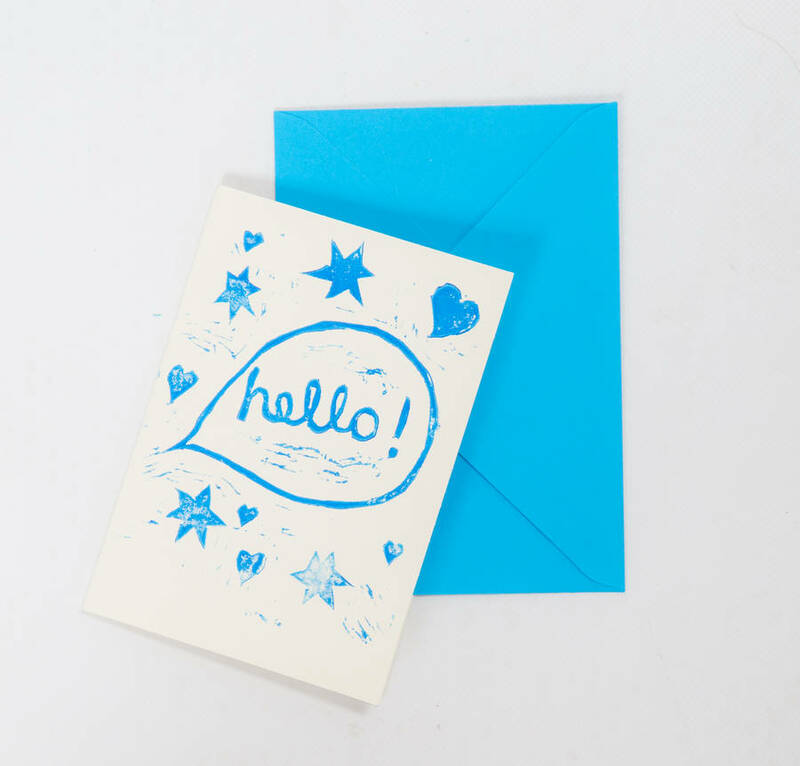 Handprinted cards have the added appeal of being beautifully tactile. When ordering, the delivery address should be that of the recipient (be it a special person or yourself!) You can also have a gift note added, and the 'personal message if it's a gift' will be enclosed in the first delivery. Card, waterbased ink, envelope and cellophane bag. This product is dispatched to you by Something Wonderful Design.